This entry was posted in Livecraft on December 3, 2018 by alfonsojon. Being that I can’t get the server online in the near future, I’ve made a Discord server. If you haven’t heard of Discord, imagine IRC chat (if you know that), mixed with Skype and Teamspeak. Long story short, it’s great, and here’s the link to join! If you don’t already have Discord, I highly recommend downloading it. There is no requirement to join, other than signing into Discord. This entry was posted in Livecraft on September 30, 2016 by alfonsojon. I’d like to address growing concern regarding Livecraft’s future. I’ve had it offline for some time, due to various concerns, so I’ll be explaining what is going on. I’ve been quite busy with work in my personal life, as well as dealing with computer hardware problems on the server. The server software that was used to run the server no longer functions as expected, and the original developer has abandoned the project (ahtenus’ minecraft-init). I have since created my own version; however, it does not perform all of the functions necessary to run Livecraft properly; therefore, Livecraft cannot run as expected at the moment. The server computer itself is heavily underpowered and I do not have the funds to upgrade it. So, what does this mean for Livecraft? If #1 involves a new computer, we will need a working minecraft-init systemd bash script. Livecraft is something I care about greatly; however, I don’t want to force myself to run it when it does not meet the expectations I have for the server. To put it bluntly, I would rather provide no server than a very poor experience. This entry was posted in Livecraft on May 30, 2016 by alfonsojon. I always find JS benchmarks between browsers, demoing how “fast” XYZ company’s browser is, but they only include a single benchmark (such as Octane). One thing I’ve noticed is many sites are beginning to use WebGL elements, and games such as Polycraft are becoming more popular. 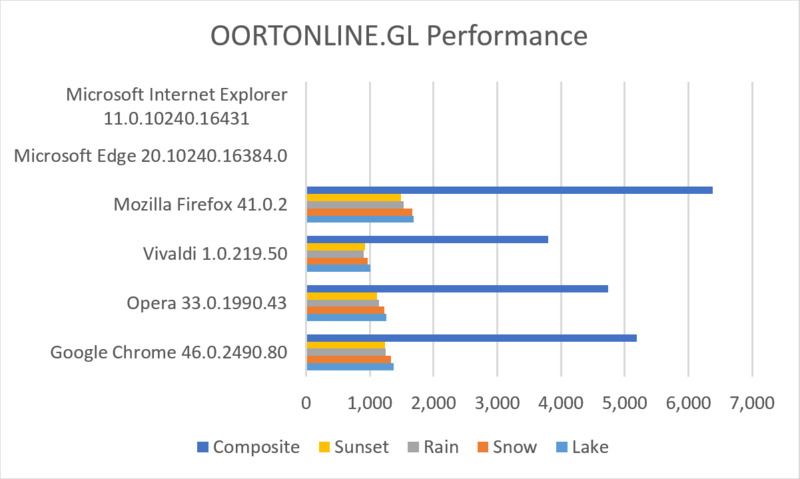 I decided to pit a few common browsers against each other, to show which one is the best for WebGL. This entry was posted in Uncategorized on October 29, 2015 by alfonsojon. Notice: Livecraft is currently offline until further notice. Due to hardware difficulties and lack of funding, a repair is not possible currently and may take up to four weeks to complete. I apologize for the inconvenience. This entry was posted in Livecraft on July 13, 2015 by alfonsojon. Hit enter, then either log out and log back in or restart your panel with mate-panel –replace. Note: this should be run in the ALT+F2 Run Application prompt, not the terminal. This entry was posted in Linux, Software, Tutorial and tagged mate, tutorial, ubuntu on July 5, 2015 by alfonsojon. This should not be empty. Oops. This entry was posted in Mac, Software, Tutorial and tagged broken keyboard, cant type, mac os x, monolingual, os x, tutorial on June 16, 2015 by alfonsojon.